Developed in collaboration with Microsoft Advertising and Starcom MediaVest Group the innovative Beam Inc., Sauza Party Planner campaign is a finalist for the Smarties™ awards. 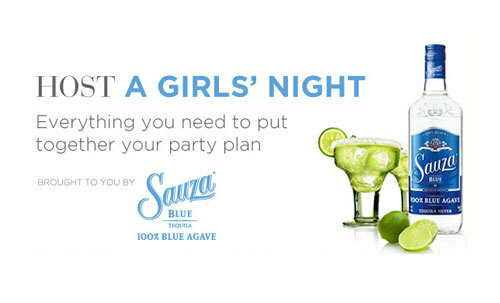 This native brand integrated campaign is catered to a female adult audience over the age of 21 to provide a fun new way for consumers to plan their next social gathering. Geared towards a more eclectic and trendy crowd, the Sauza Party Planner capitalizes on tech-savvy party enthusiasts with a proclivity for popular culture and social media. The campaign showcased highly engaging ad experiences with unique components developed specifically for the small screen. This included exclusive ad units included expandable banners guiding users to an app-within-an-app experience where the branded content takes over the entire screen without kicking the user out of the app. The ability for the consumer to save the branded ad experience to their home screen aligned perfectly with the strategic goal to translate mobile users into Sauza brand advocates. The Smarties™ awards recognize the best of innovation, creativity and leadership in mobile marketing. The Mobile Marketing Association (MMA) received notably more award entries this year than ever before, which is a true reflection of the increasing significance of mobile marketing. The judging process was extremely tough. A huge congratulation to all the finalists! The 2013 winners will be recognized for excellence at the awards ceremony in New York City on Wednesday September 25, 2013 during Advertising week.